The United States is a beautiful country, full of breathtaking landscapes, surreal countryside, high-rise buildings, resplendent attractions and many other attractive features. Visiting this dream destination tops the itinerary list of most visitors from overseas. Every year, crowds of people come to the U.S. just to see the gigantic waterfalls, Niagara Falls. Apart from this, there are other world-famous tourist hot-spots in the U.S. 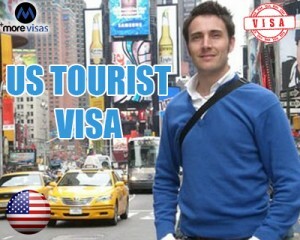 If you want to visit the U.S., you should apply for a tourist visa for USA. For the purpose of temporary visit to the country for the sake of tourism, pleasure, medical treatment or for visiting family and friends, one needs a visitor visa for USA, It is called B2 tourist visa. It may be granted as a single or multiple-entry visa. It may be issued for a limited time period or for an indefinite time. Also, if you wish to undertake a study which involves less than 18 hours per week duration, then you can do so under this visa itself. Should be self sufficient to fund your travel and stay in the US. Visit USA and fulfill your cherished dreams by apply for a B2 visitor visa soon.